There are the steps I took to get Windows 10 on my spare mid-2009 15″ Macbook Pro. Why? Because science! And because I like Windows 10 and because Apple stopped OS support on that machine sometime back. But mostly because I wanted to learn a bit more about UEFI systems and their boot-up sequence. If you’re already in pure MBR (not hybrid) mode, skip this entire section. WARNING: Backup all existing data because it will be deleted! Nothing special here, regular installation process. When everything installs, you should boot right into the Windows desktop. 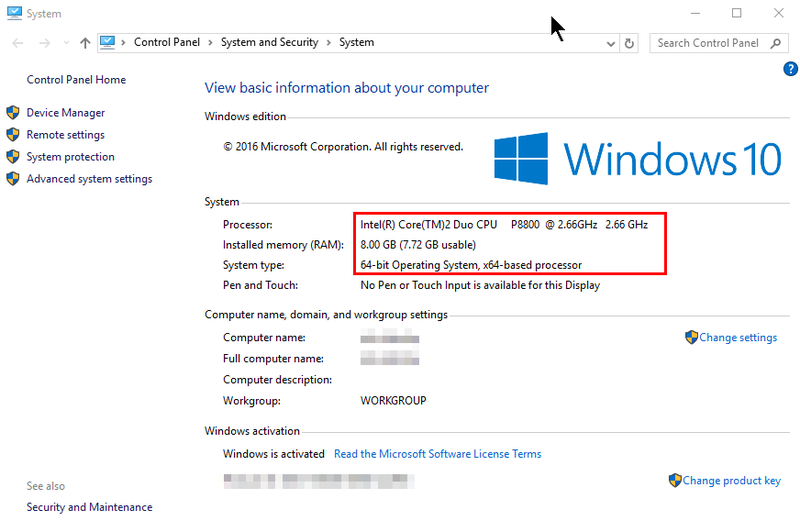 Once inside Windows 10, download Boot Camp 5.1.5722 Drivers. When you power on your Mac, it first runs the UEFI firmware. From there, your Mac can proceed into either native UEFI or switch to legacy BIOS (actually it’s UEFI simulating a BIOS via the EFI-CSM module). If you purchased your Macbook Pro with the graphics card upgrade, you actually have TWO graphics cards inside. First is the integrated Intel graphics and then you also have a discrete nVidia graphics card. In UEFI mode, they are BOTH enabled and this will kill your Windows installation when you eventually install the graphics drivers. Windows 10 will endlessly reboot, entering automatic repair etc. I think this is a bug in the nVidia drivers and 99.99% they won’t fix it. So if you have two graphics cards then you MUST pick the legacy BIOS path. USB boot or DVD boot ? I chose the simpler route of staying all MBR and just using DVDs. I did have to buy a $15 external USB DVD drive since my internal DVD drive was busted. But worth it. Hybrid MBR – feeling brave? Maybe you want need more partitions on your system than MBR’s paltry 4? Perhaps to enable macOS’s filevault or to enable Windows Bitlocker? Although your BIOS booted Windows will still only see 4 partitions overall, when you boot into GPT macOS it should see even more. Of course, you’ll need to cover those extra GPT partitions with a protective partition on the MBR side to keep them in alignment to avoid problem when altering partitions in the future from either side. That last bit adds some complications, so go forth only if you’re brave (and have a backup). Run gparted and make sure you’ve selected the correct disk! I love you. I spent hours trying to find a way to install it on MBR, due to a known and unsolved problem with the audio driver on older MacBooks when using windows with EFI boot, and I was starting to lose hope. I had already tried doing the thing you describe in step 3 to no avail. In the end, it was using the DVD installation instead of the USB flash drive what made the difference. thank you so much for this post. I was trying all kinds of win7 kits compatible with bootcamp 4 (macbook pro mid 2009). Is this work with iMac mid 2011 with bootcamp 6.1 ? I’m on High Sierra and having problem after install win 10 1709 (no audio), after windows update something it started boot looping non stop. I guessed without update unit reboot without any problem. I don’t know that we are on the same boat, sound like it. I can’t really determine what the issue could be. It’s probably too late but does sound like a driver issue. Try booting into safe mode perhaps? Unless you’re resourceful and creative in dealing with drivers and boot logs, I don’t think there is a ready made solution. Hi.. I am trying to install Win 10 on my MBP Mid 2012. Its successfully installed but no audio tried to install manually Realtek drivers with bootcamp as-well struggling from 5 Day and Nights.. Installed with bootcamp assistant not successful with boot camp also not successful does this APFS format is making this issue.. I have tried many times installing and removing really frustrated. could you please help me on this.. thanks in Advance..
By the way, you can get UEFI mode working – you can fix the boot loop by adding a startup.nsh file in the root directory of the EFI partition to poke the right registers in the Nvidia 9400. To force the 9600 off.